I love this time of year when new stamps are released for the holidays! 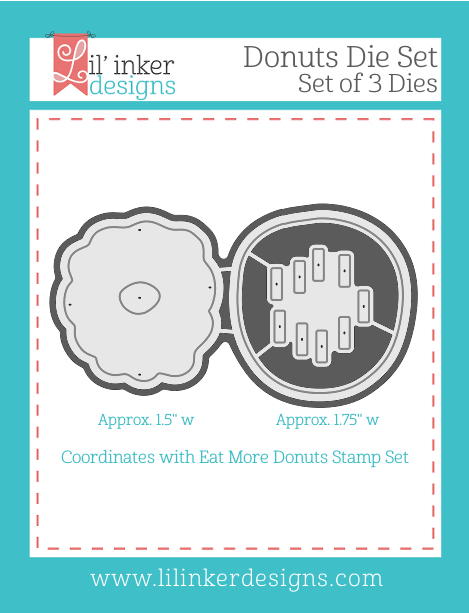 It's Day Three, and the last day, of the Lil' Inker Designs October Release. As usual, we have a fabulous hop for you featuring innovative stamps and dies with a holiday theme! You should have arrived from Jen's Blog! 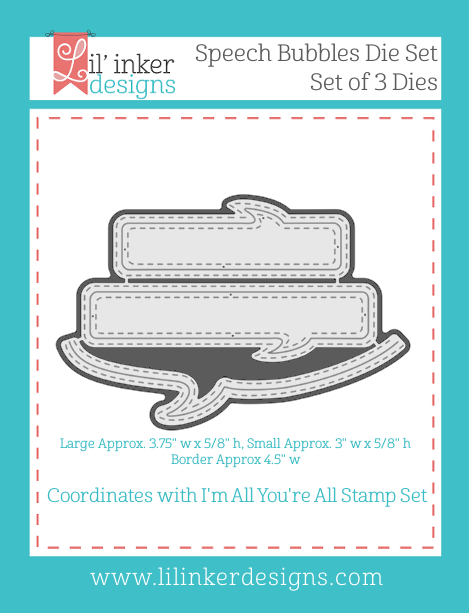 My project today features two new products, the Cozy Winter Wishes Stamp Set and the Stitched Mats: Rounded Rectangles Dies. I created a soft and subtle watercolor background with distress inks on white cardstock and then die cut a portion with the Rounded Rectangles Die. 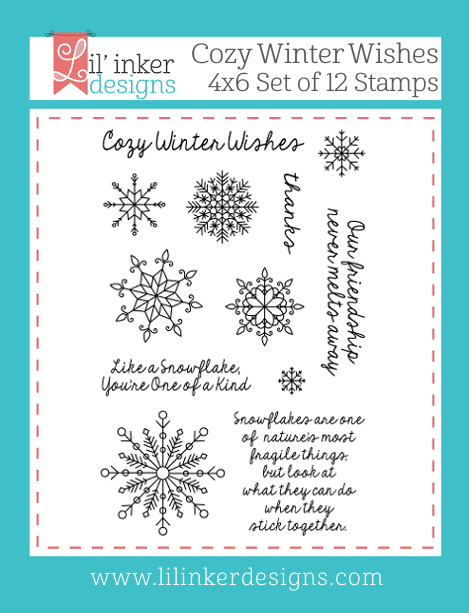 Then I stamped various snowflake stamps from the Cozy Winter Wishes set onto the panel in silver ink and adhered the panel to a card base. I finished the card with a stamped sentiment from the set and a bow from May Arts Sheer Silver Ribbon. There are so many other products from this release, check them out below! Your next stop is Kristen! 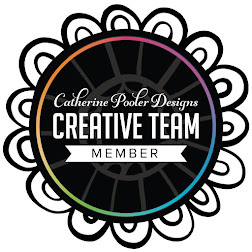 Lil' Inker Designs has added two new members to their design team. Stop by the blogs Christine and Laura during the Blog Hop to welcome them. And we are saying goodbye to Heather this month as well, she's joining us today with a farewell post. I love this time of year when new stamps are released for the holidays! 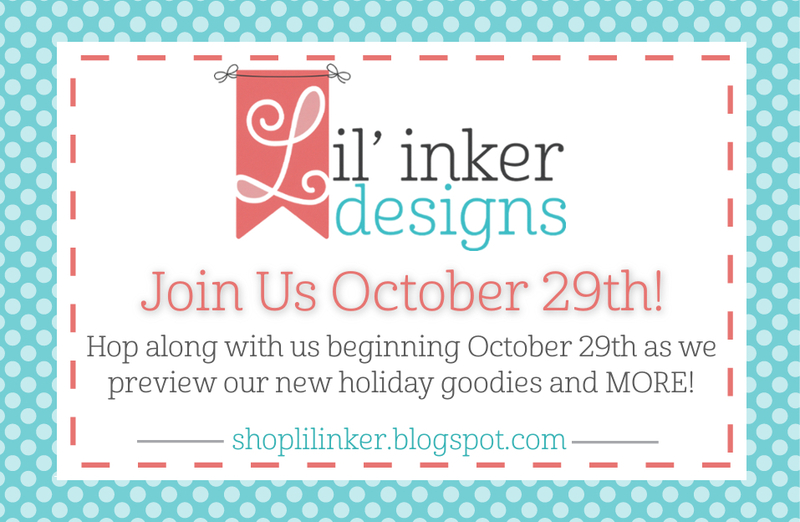 It's Day Two of the Lil' Inker Designs October Release. As usual, we have a fabulous hop for you featuring innovative stamps and dies with a holiday theme! You should have arrived from Jen's Blog! 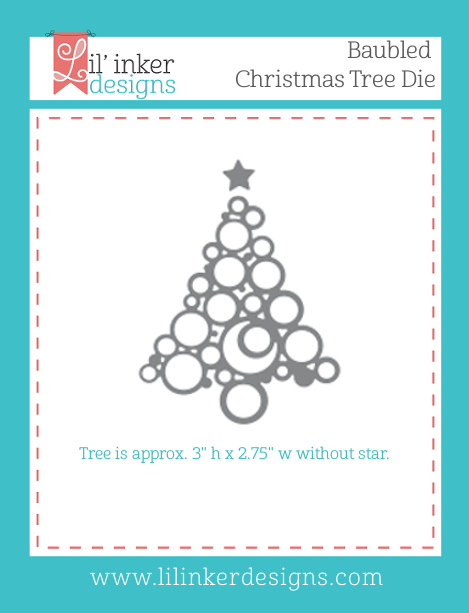 My first project today features two new products, the innovative Baubled Christmas Tree Die and Stitched Mats: Rounded Rectangles! I die cut the bauble tree from a piece of patterned paper that first had been die cut into a Rounded Rectangle with the LID Exclusive Double Stitching. Then I had a bit of fun finding some coordinating patterned paper to stick behind the die cut tree for the leaves and trunk. I finished the card without a greeting and tied it with some May Arts Natural Burlap String. My next card features three products from this release! 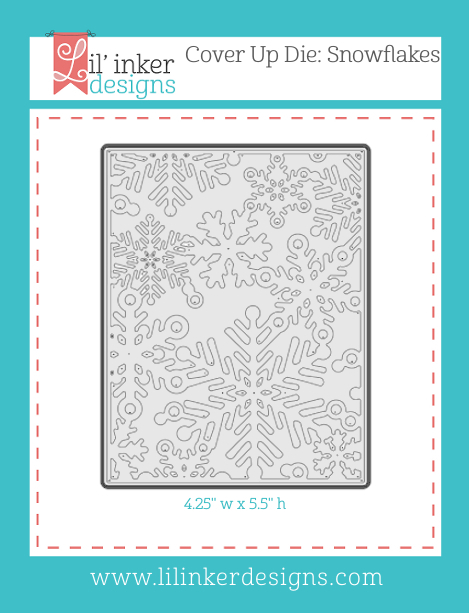 I started by die cutting the background from white cardstock with the very beautiful Cover Up Die: Snowflakes. 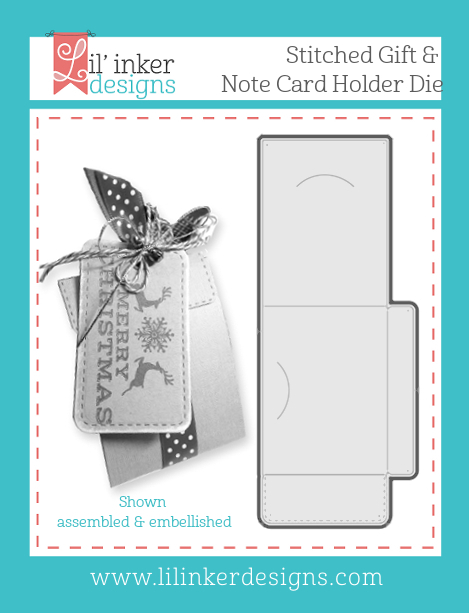 Such intricate designs but so easy to use! 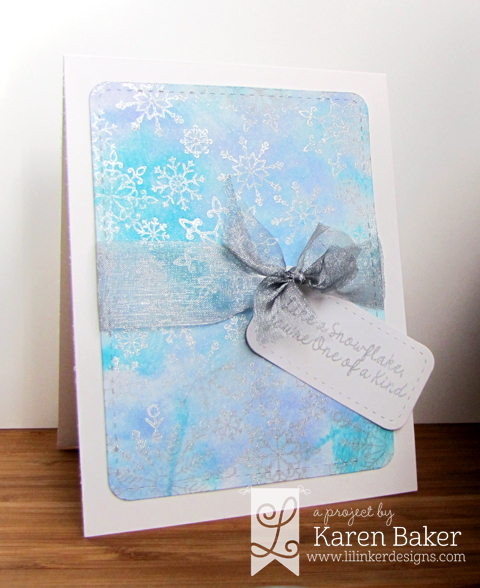 Then I adhered that to a blue base and added some snow hills created from the Border Builders Die Set. 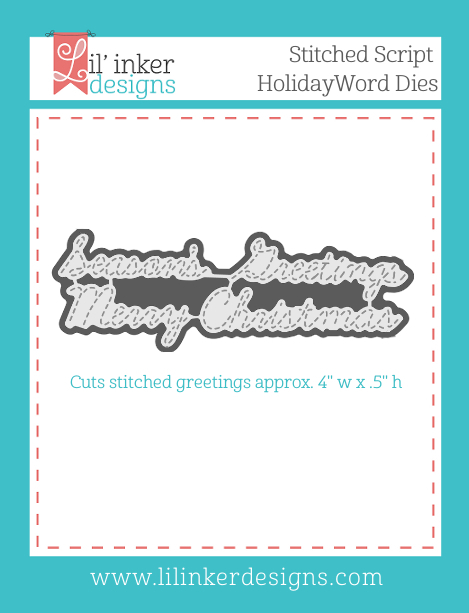 Finally, before attaching the last snow hill, I added the sentiment via a die cut from the Stitched Script: Holiday Word Dies! Talk about innovative, clever and oh so cool! Your next stop is Kristen! 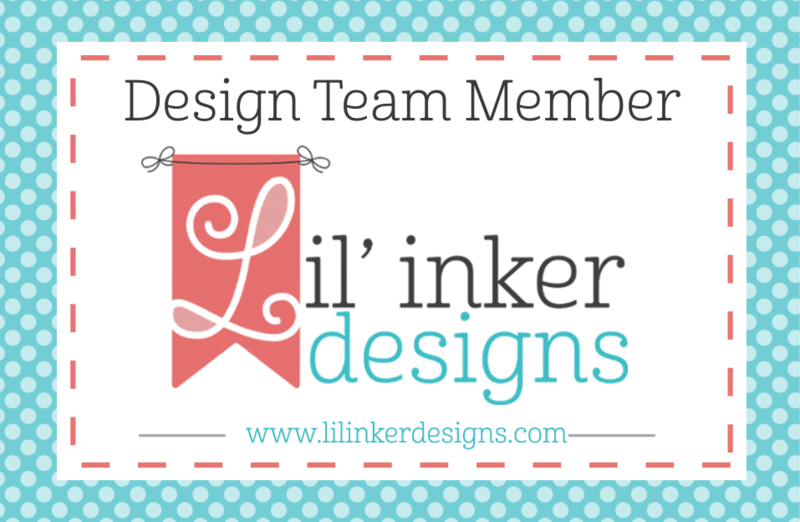 Lil' Inker Designs has added two new members to their design team. Stop by the blogs Christine and Laura during the Blog Hop to welcome them. 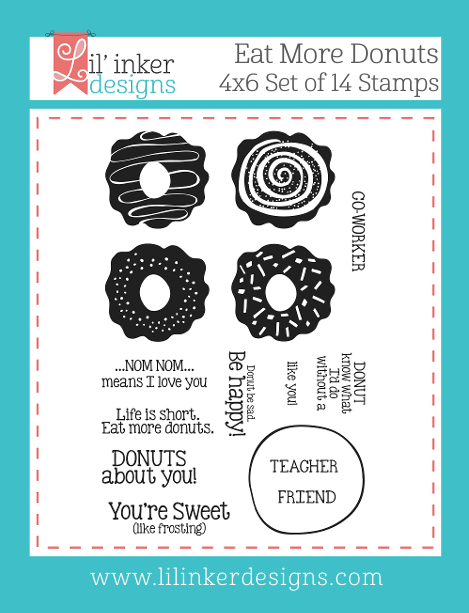 I love this time of year when new stamps are released for the holidays! 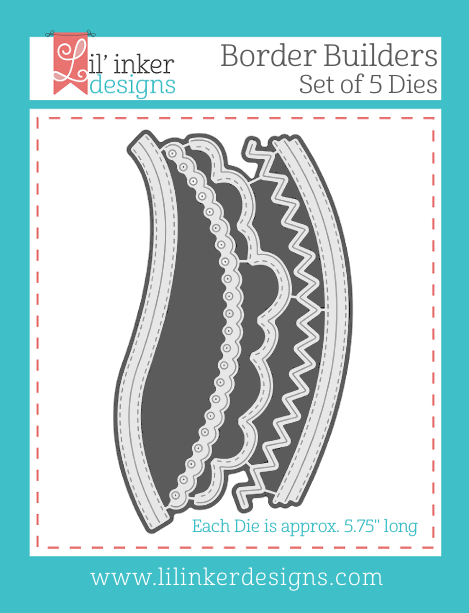 It's Day One of the Lil' Inker Designs October Release. 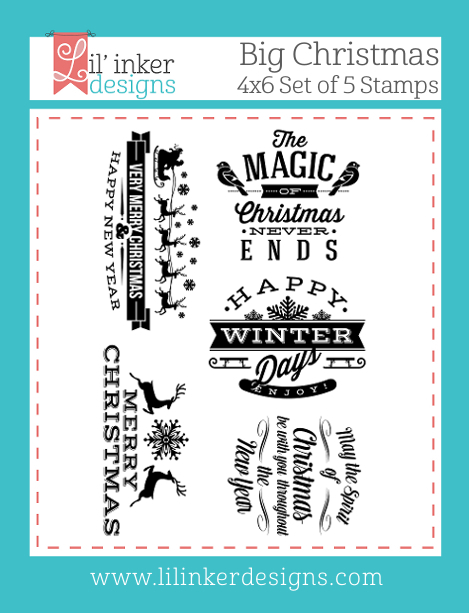 As usual, we have a fabulous hop for you featuring innovative stamps and dies with a holiday theme! You should have arrived from Jen's Blog! 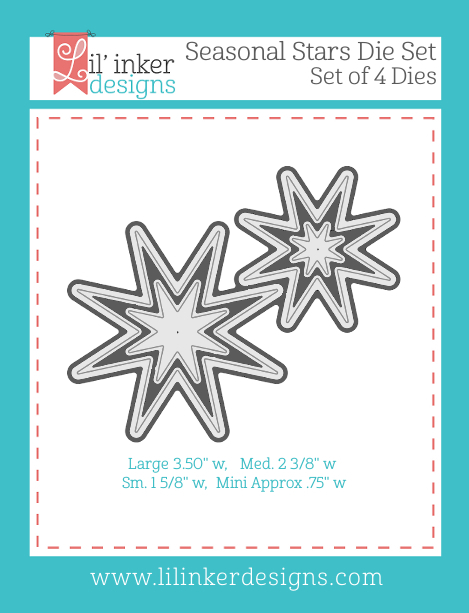 My project today features two new products, the Big Christmas Stamp Set and Seasonal Stars Die Set! 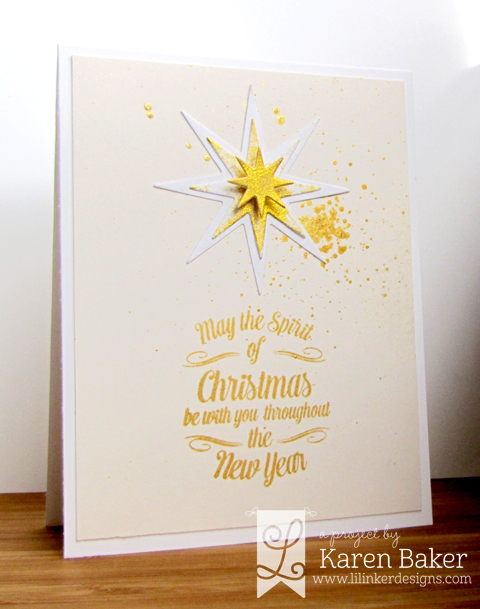 I die cut some stars from white cardstock and colored a few with gold ink. 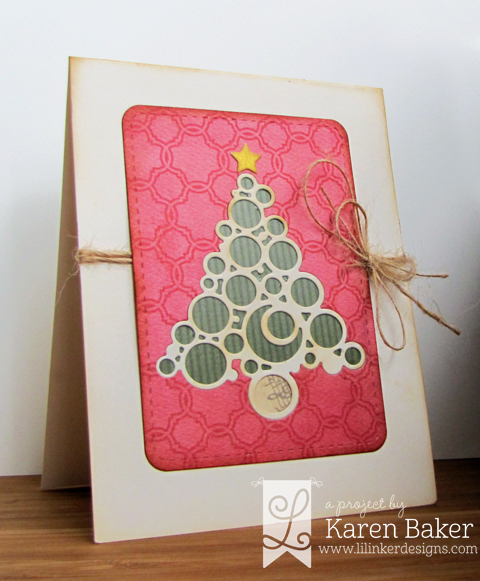 These were attached to a stamped card base with a greeting from Big Christmas that also features some gold misting. May Arts is getting into the Christmas Spirit with a Handmade Christmas Card Hop! 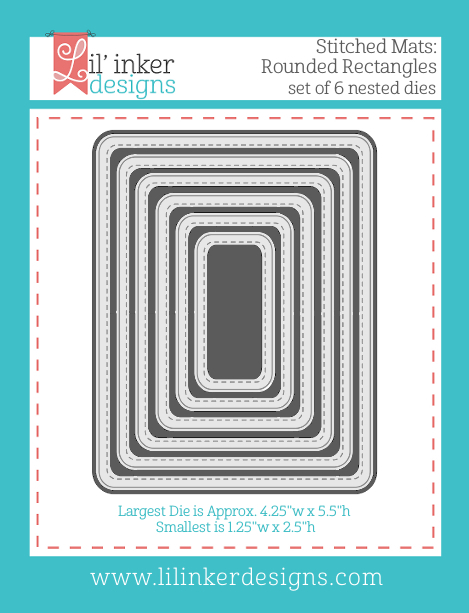 I've got two cards to show you today, and both of them are clean and simple and easy for mailing. I went a bit rustic with my first card, above. 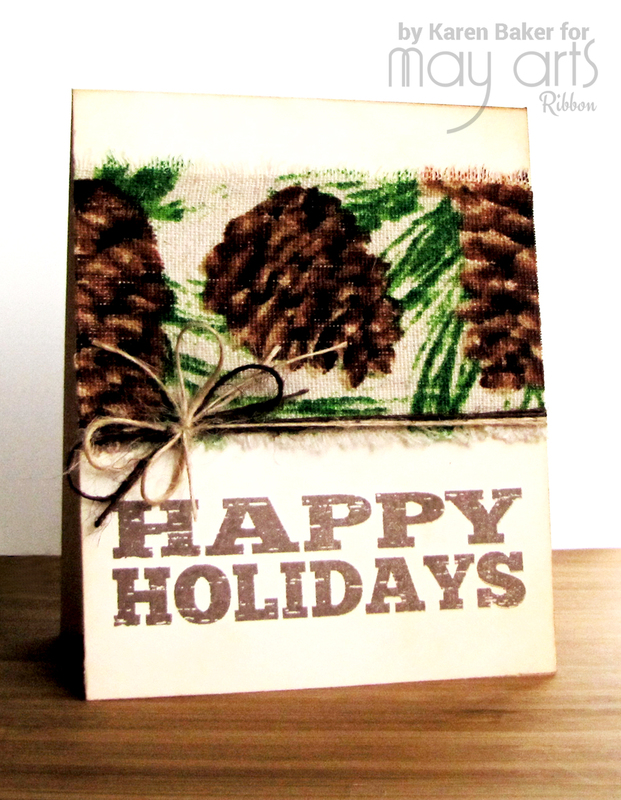 It features a length of 2.5" Cotton Blend with Vintage Inspired Print (468-25-15 Pinecones). I simply glued this to a stamped card base and tied it off with May Arts Burlap String in Natural and Dark Brown (SM10 and SM33). 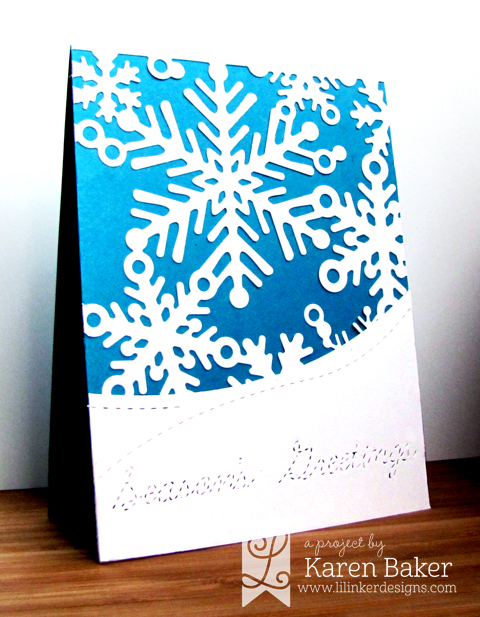 My last card is a bright and fun greeting featuring a length of 1.5" Holiday Satin Cut-Out (459-31 Snowflakes). So shiny and pretty! Here I simply glued them onto a stamped card base as well and wrapped the card with 1/8" Black Silk Ribbon (SK10) tied in a bow. As usual with May Arts Hops, not only is there amazing inspiration, but there is also a prize up for grabs! 2 prizes of 2 spools each (one each day) from the May Arts Christmas Section! The line up from yesterday is as follows, with today's as well! Your next stop is Jennifer!